I think you’ll like this second video from our Holy Land tour. 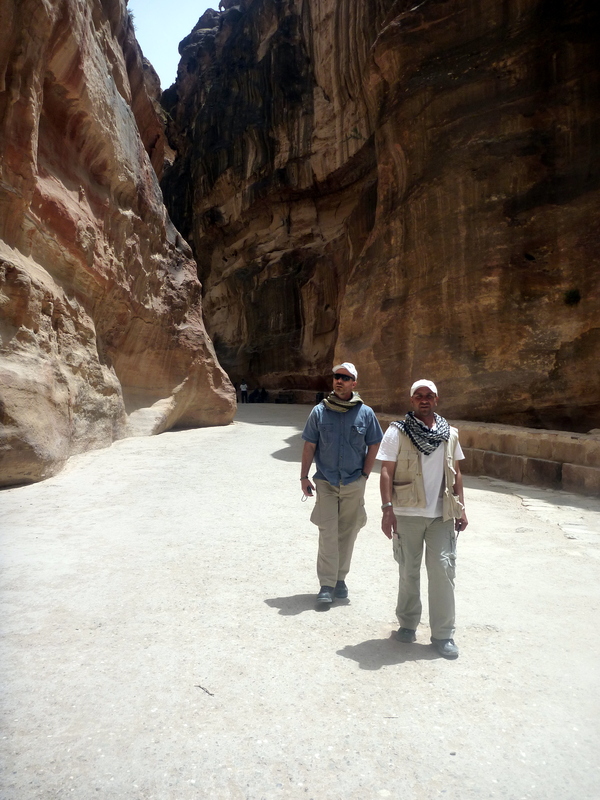 This one is filmed at the Siq (narrow passage) leading to the ancient city of Petra. 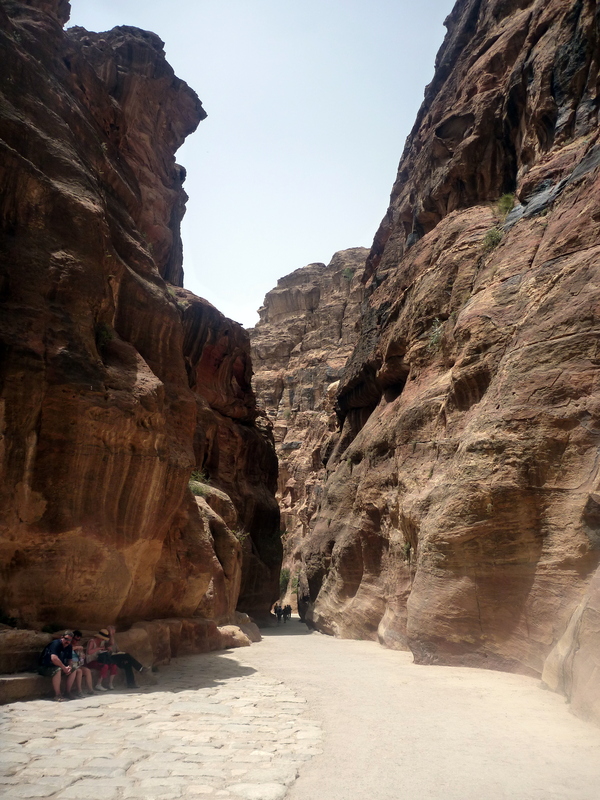 If you look closely on the left and right cliff walls you can see the aquaducts the Nabateans built to control flooding and provide water to the city. Jack Enter, a colleague and powerful presenter in the arena of police ethics, says that the path of character and leadership is “the Path of Most Resistance.” I love that quote because it is such an accurate reflection of the conflicts and challenges you will have as an ethical leader. There will always be someone trying to take shots at you…! This entry was posted in Character Quotes by policedynamics. Bookmark the permalink. 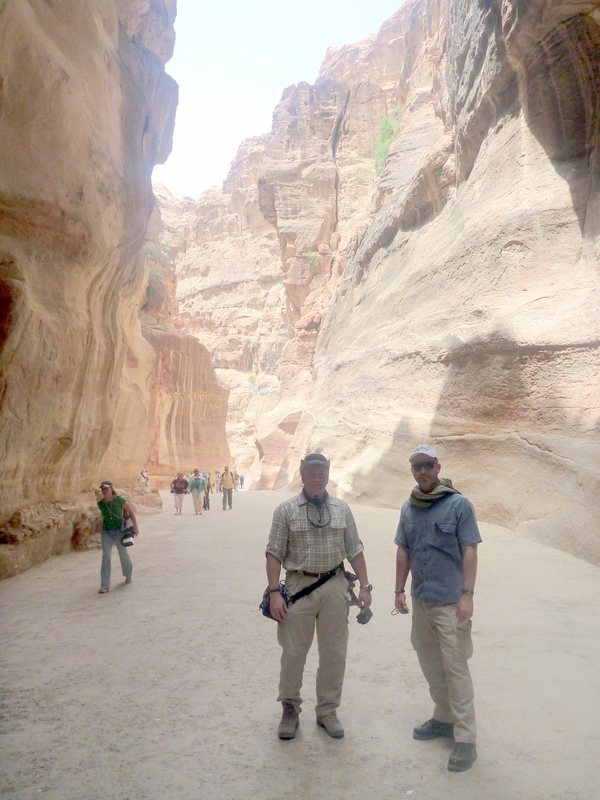 It was great to see you with the terrain around Petra in the background. It is obvious that Petra really does mean “rock”. I visited there on horseback in 1977, but never thought of doing a training session. This was really terrific! against taking the “easy” course. The metaphor of the course of a river is a powerful picture of any leadership application from family, community, political, business and of course the law enforcement arena. In Greek mythology the Siren’s Call led mariners to their doom by shipwreck. The character-based leader must be alert to the numerous cultural forces, like ocean currents, that can take the unit they are leading off course. This can “lead to” a delay of objective attainment, sailing around in circles or to possible shipwreck. We see and read about this everyday. We all know from plane geometry that the shortest distance between two points is a straight line. This is true in life also, the point from where we are today to our goals, dreams and objectives. However, a straight line is seldom the “easiest” course to pursue. I have not always pursued the straighest of course lines but when I have the pressing against the resistance I encountered along the way has made me stronger. I am reminded of several things King Solomon offered on this subject that have assisted me in my decisions, large and small. “In all your ways acknowledge Him, and He will make your paths straight” Proverbs 3:6 (NIV) Much the same guidance is found in 2:13 and 4:11. All great things really are simple! This post reminds me that the path of most resistance also produces, usually, the most satisfaction. Last week I had the opportunity to present a one hour overview to a group of about eighty 911 professionals on how to praise for character. My goal was to get them thinking and really challenge them regarding the words they are using, instead of just “good job” use words that address the character that resulted in that good job. The class reviews afterwards were very positive, people came up to me for the rest of the 2 days of Conference asking for a longer (8 hour) presentation. People crave the satisfaction of the path of most resistance, I just believe that sometimes – they are unsure of how to get there and achieve the results they hope for.